There is still no Brexit deal and if there isn't one soon, the world will not end. 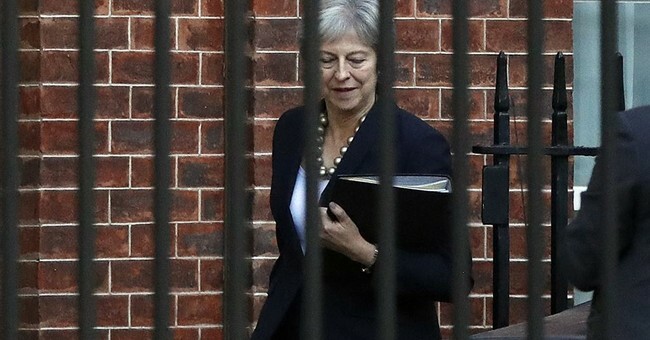 At 11 PM local time on March 29 2019, the UK is scheduled to leave the bloc. A deal is still not in place. The truth is there are simply no newsworthy Brexit developments. The reason is that, as of now, there is still no majority for a deal. So let us focus instead on smaller pieces of the puzzle that might become relevant later. One of those was a small item in the Financial Times from the Hauts-de-France region in Northern France, whose president is demanding a constructive attitude by the EU in the case of a no-deal Brexit. Expect to hear more of this as we approach the Brexit deadline. If the EU plays it tough to the bitter end, not only Hauts-de-France will be clobbered along with the UK. The EU could in theory turn a no-deal exit into a de-facto blockade of the UK. But a far more likely scenario would be a no-deal Brexit accompanied by a multitude of mini-deals to keep goods and people flowing for a short transitional period (not to be confused with the 21-month transitional period now under discussion in the Brexit negotiations). The simple reason is that this would be in the best interest of the regions of northern France, Belgium, the Netherlands and parts of Germany, all of which are very keen to keep the disturbance to their economies to a minimum. The FT has interviewed the president of Hauts-de-France, who wants a no-deal transition until the French and UK governments have a border infrastructure in place to guarantee orderly flows. He has calculated that an extra clearance time of just two minutes per truck would produce vast queues on both sides of the channel. The trucks, companies and factories that will be blocked will be those of the north of France, the whole of France and Germany." As I stated all along the EU does not hold all the cards. If anything, the UK has stronger cards because the UK is Germany's biggest export partner. Now, even France is showing concerns. Solidarity was a big bluff all along by the EU. Moreover, the longer the delays in reaching a deal, the more likely there is no deal. Because of all the preparations both sides must make for a no-deal scenario. The more preparations that are in place, the less scary a no-deal Brexit becomes. There still may be a deal, but it would take a concerted and foolish effort by Theresa May. The best scenario is a series of mini-deals. According to Eurointelligence, Philip Hammond reiterated yesterday that the UK would pay its exit bill, or parts of it, even in case of a no-deal. This is a sign of the willingness to agree if needed a no-deal type of deal. Pay part of the Brexit Bill and get significant concessions from the EU in a series of mini-deals. Pay none of the Brexit Bill, close fishing right, etc, and keep the money with repercussions. Cave in further to EU demands in return for some kludge on Ireland. I did not list another vote because it's not going to happen. It is unclear if either the EU or the Tories would accept number four. An attempt by May to enter a prolonged Brexit period could bring down her government. And prolonging the agony still does not solve the Irish border problem. For the most part, Theresa May has done number three, but it still has not solved the Irish problem because the EU hasn't budged. Other than to ignore the Irish border, which I propose in the even of no carve-out, there is no realistic solution. Theresa May's Cabinet met for almost three hours this morning to discuss Brexit. Not a single decision was made. Theresa May wants a deal. She would be better off with a hard Brexit and a series of mini-deals now that Germany and France are finally scared of the consequences.